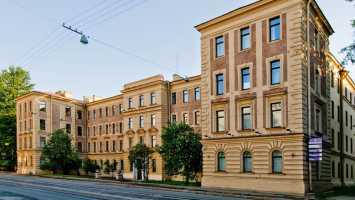 St. Petersburg State Medical University Russia.The Pavlov First Saint-Petersburg State Medical University was founded in September 14 (26) 1897 as the Medical Institute for Women. It was the first institution both in Russia and Europe that provided an opportunity for women to acquire higher medical education. Academy has become one of the leading medical center in the country. Since the inception, it has adopted, as its main principle, a unique teaching methodology, which is based on combination of the best Russian medical educational traditions with methods of Western Education System. The present name, St Petersburg State I.P. 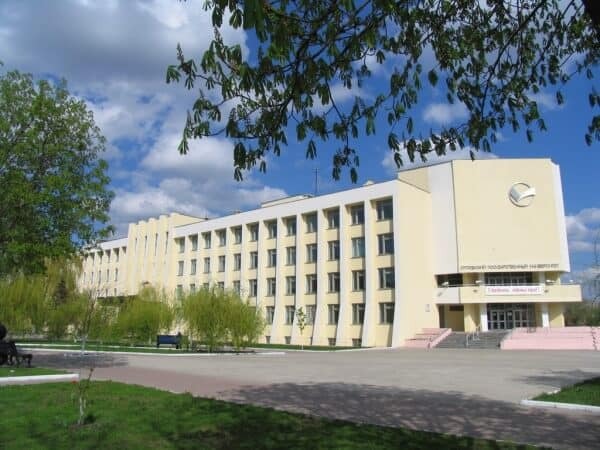 Pavlov Medical University, was given to our University in 1994 by the decision of the Government of the Russian Federation. The University contributes considerably to development of Medical Sciences and Health Care Services in Russia and it is recognized in the World as a big center for training specialists in various medical areas.Pavlov First St. Petersburg State Medical University is the only higher medical school in the city that has a polyclinic attached to the University. Year 2010 saw the 175th anniversary of the founding of the polyclinic. University from various countries around the world, which emphasizes the Academy’s excellent reputation. Saint Petersburg State Medical Academy’s policies provide for equal opportunity and affirmative action in employment and admission to all programs of the Academy. The Academy graduates are sought by employers everywhere for their knowledge and reputation as innovators, leaders, and team players. I wish Academy could be a starting point for a challenging professions and prestigious carrier of a medical doctor. The SPSMU has a long and proud tradition of educating Russian and international students. More than 35,000 physicians graduated from the Academy. Since beginning the international program in 1947 there have been more than 3500 international graduates from more than 50 countries. Currently there is a total student population of over 5,000. The educational programs of the main faculties of Saint-Petersburg Pavlov Medical University are based on state educational standards, worked out by Ministry of Health Care of Russian Federation. Training for Medicine, Dentistry and Pediatrics programs contains preclinical period (1-3 years) with basic, premedical and introductory medical disciplines, and clinical training (4-6 years; for Dentristry – since spring semester of the 3rdyear till 5th year). Basic and premedical course includes the theoretic basis of medical specialities (Chemistry, Physics, Biology, Anatomy, Histology, Physiology, Microbiology, Biochemistry, Informatics, Pathological Anatomy, Pathophysiology, Pharmacology, Hygiene). Educational work at the University is based onthe concept of the multi-stage system of specialists training on the programs of various levels of medical education. There is University education training, training in the programs of higher education, as well as post-graduate training of doctors.University encloses 112 departments, which are consolidated in 9 faculties: Faculty of general medicine (consists of 24 departments), medical-prophylactic Faculty (consists of 29 departments), the surgical Faculty (consists of 13 departments), therapeutic faculty (consists of 15 departments), the pediatric Faculty (consists of 10 departments), medical – biological Faculty (consists of 10 departments), the Faculty of foreign students, the Faculty of education for nurses, health care and social work (consists of 5 departments), dentistry faculty (consists of 6 departments). The Academy campus is located in the central part of the city in a green from spring to autumn wonderful park having area of 40000 square meters. There are 50 beautiful buildings with fabulous architecture on its territory. The Peter the Great Hospital (2000 beds) was built in 1903. (1 US$ is approx. Rs. 65/-).